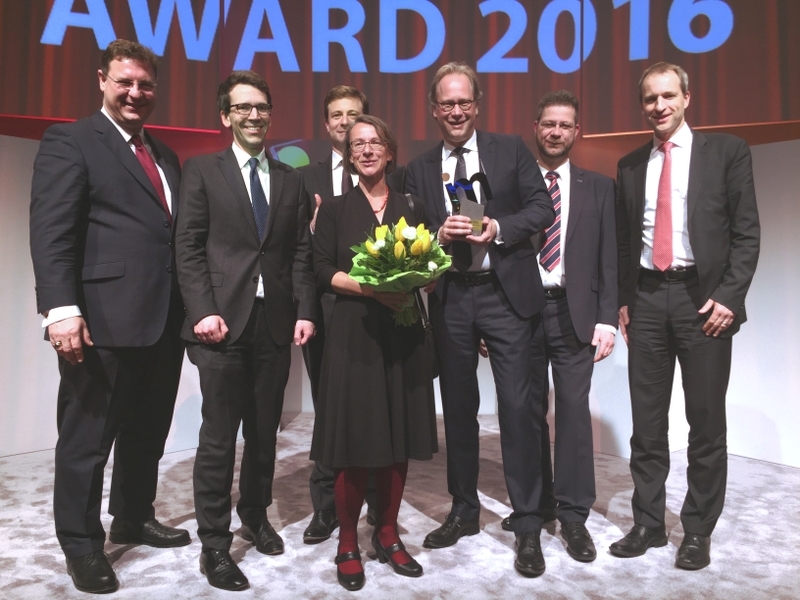 BERLIN – Feb. 26, 2016 – Yesterday, the attorneys at Greenberg Traurig Germany (GT Germany) received the prestigious real estate award “immobilienmanager Award 2016” by the leading real estate publishing house Immobilien Manager Verlag in the category “Advisory.” They are the first team of lawyers to receive this honor for a second time. With this award, the jury acknowledged the advisory services provided by GT Germany in the course of the formation of EnergieServicePlus, an energy joint venture with the LEG Immobilien AG (LEG). The new corporation resumed the entire energy management and energy supply for the more than 100,000 residential units owned by the real estate company. With their advisory services for this project, GT Germany's attorneys entered uncharted legal territory, since the conversion of heat supply from self-sufficiency to contracting had been regulated by law for the first time shortly before. At the same time, the team of advisors also broke fresh ground in economic terms, developing a business model for the housing industry that benefits four parties involved: Tenants benefit from a better energy supply at no additional cost; housing companies open up a new business area; energy suppliers secure a sales market for themselves; and the model also benefits the environment because greenhouse gas emissions are reduced due to the use of more efficient systems and technology. “It is only with clients like LEG that lawyers can prove their creativity and capacity for innovation within the framework of such pioneer projects,” Dr. Christian Schede, managing partner at GT Germany, emphasized. “A big thank you goes to our dedicated team around Dr. Annette Geldsetzer, Dr. Christoph Enaux and Dr. Martin Hamer, and to our colleagues at LEG for their trust and the smooth cooperation, without which this project could not have been done.” LEG’s advisory team also included PG Consulting GmbH (development and project management) and Ritterwald Unternehmensberatung GmbH (economic design of the business model and execution of the M&A process). Every year, the publisher Immobilien Manager Verlag presents the immobilienmanager Award to successful individuals, companies, and projects from the real estate industry. The nominees and winners are selected by an independent panel of experts. The team of GT Germany received this award for the second time: In 2012, the attorneys received the award for their advisory services for Dundee International REIT within the framework of the largest real estate transaction in the year 2011—at the time, the attorneys were advising under the name Olswang. A photo of the award-winning team is available here.